Costume Colloquium is an international, interdisciplinary and inter-cultural biennial symposium which concentrate on historical dress, costume for performance and contemporary fashion. The range of perspectives include art history, social history and textile conservation; designing costume for the performing arts and living history; as well as the use of historical dress as inspiration for contemporary fashion. All facet of dress and fashion history, design and interpretation are explored and the colloquium provides a stimulating platform where participants can exchange ideas and information. Costume Colloquium I, II, III, IV & V were promoted by the Fondazione Romualdo Del Bianco® – Life Beyond Tourism® in collaboration with the Association Friends of the Costume Gallery. Costume Colloquim I: A tribute to Janet Arnold (November 2008) was dedicated to the renowned dress historian, artist, fashion designer and teacher who pioneered research into the cut and construction of clothes from the 16th to the early 20th century. 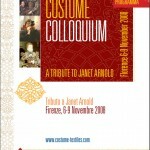 Click here to view the PDF Presentation of Costume Colloquium I: A tribute to Janet Arnold. Costume Colloquium II: Dress for Dance (November 2010) concentrated on the interdisciplinary aspects of dance dress and costume as a multi-cultural form of human expression, from a variety of practical, historical and creative perspective. 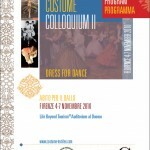 Click here to view the PDF Presentation of Costume Colloquium II: Dress for Dance. Costume Colloquium III: Past Dress – Future Fashion (November 2012) presented topics such as vintage styles, designer creations and historic fashion collections, because we reference the past to spark our imagination for new ideas, but more often we look back to identify those timeless themes that remain valuable for the present and into the future. 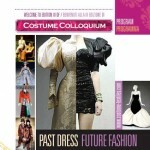 Click here to view the video Presentation on Youtube of Costume Colloquium III: Past Dress – Future Fashion. Costume Colloquium IV: Colors in Fashion (November 2014) participants witnessed a chronological and topographical range of presentations which were matched by their chromatic diversity on a scintillating range of topics, including the latest research on subjects as diverse as colour as an expression of power, the role of colour in constructing identity, the creation of colour via contemporary technical advances, alongside the classification and codification of colour. 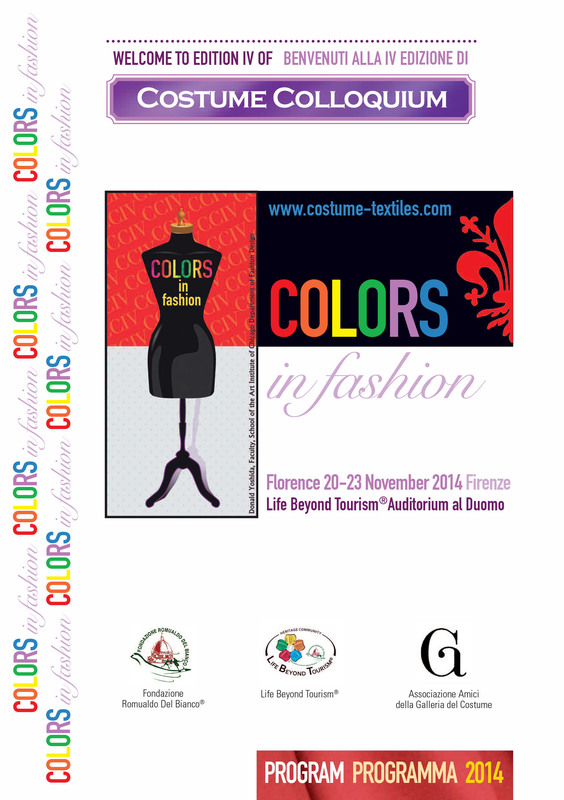 Click here to view the PDF Presentation of Costume Colloquium IV: Colors in Fashion.